Our Lady of the Lake Children’s Hospital has an excellent opportunity for a BC/BE Child Neurologist. 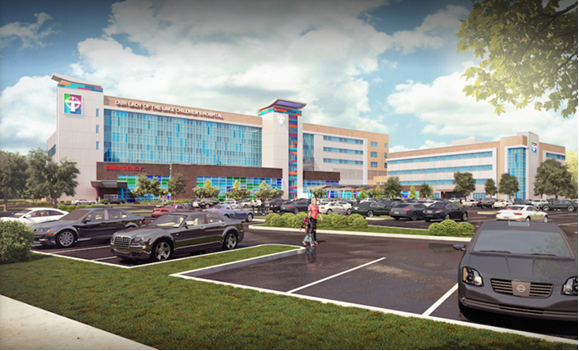 OLOL Children's Hospital is currently a 100 bed "hospital within a hospital”; however, there are definitive plans to open a free standing children's hospital in 2018,giving our physicians a chance be part of its development from the ground up! Since opening its doors in 1945, Our Lady of the Lake Children’s Hospital is Louisiana’s fastest growing children’s hospital treating approximately 100,000 patients annually from across Louisiana, Mississippi and Texas. The hospital is the only healthcare provider in the Baton Rouge area that provides a full range of pediatric services ranging from a 24/7 pediatric emergency room to a team of more than 60 pediatric specialists. OLOL Children's Hospital is currently a 100 bed "hospital within a hospital” with plans to open a free standing children's hospital in 2019,giving our physicians a chance be part of its development from the ground up!